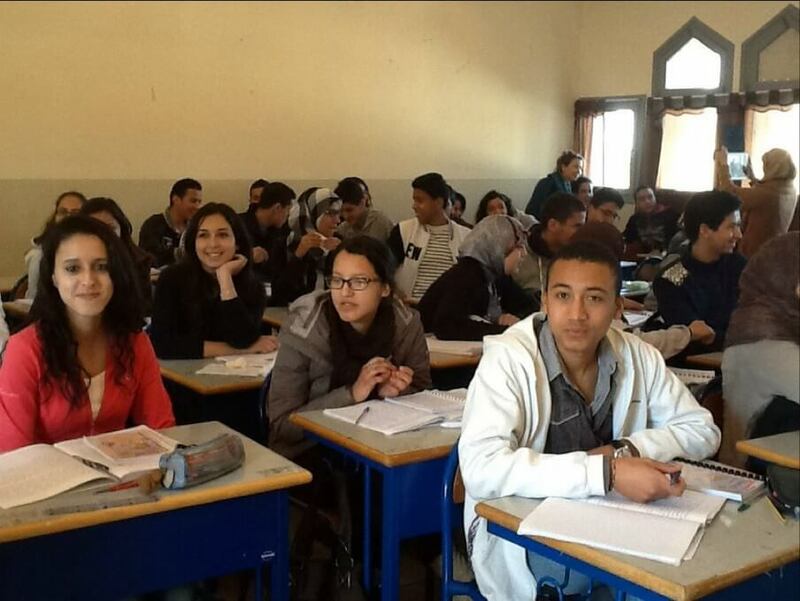 A classroom in Morocco (Photo: Moroccan Association of Teachers of English). 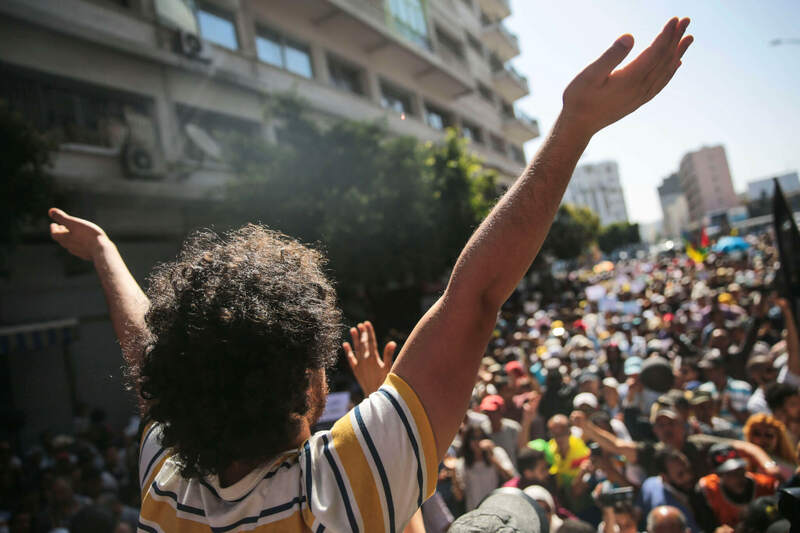 RABAT, Morocco—The debate over the right to free education resurfaced in Morocco recently, just as it does periodically in many countries in North Africa and the Middle East. Free education for all is theoretically a right in Morocco. Nonetheless, millions of young Moroccans either never attend school; drop out along the way; or study for years only to graduate still functionally illiterate. Instead of fixing the public school system, the government has been moving toward privatization as a solution. Morocco’s parliamentarians and teachers’ syndicates have objected to a proposed new law that would charge some fees to higher-income families for secondary school and university. The law does not specify what that income would be, which has caused alarm among many students and their families. Everyone agrees that the country’s educational system has already experienced a serious decline. And the privatization of the Moroccan school system has been underway for years, with the encouragement of the government (which sees it as a way to save money) and of politicians (some of whom own chains of private schools themselves). I’m willing to bet that most MPs’ children attend private schools. A recent study found that one in three children in Casablanca now attends a private school. In sending their children to private schools, even when they can barely afford it, Moroccan families are taking their cue from the country’s elites. Attending private schools (often francophone ones) has long been the path to getting into good universities and landing good jobs. Today, the idea that private schools are better than public ones is pervasive, even when there is little evidence to support it. The proliferation of private schools has also meant that there are many that are not of great quality. It’s hardly surprising that the state should try to reduce its expenditure on education. In the 2018 budget, the Ministry of Education had the highest allocation of any ministry, with 59 billion dirhams ($6.4 billion), about a quarter of the whole budget—with most of it going to staff salaries. University enrollment has jumped from 433,000 in 2010 to nearly double that today. The government has said it hopes private universities will meet up to 20 percent of this demand. Two years ago, the United Nations Committee on Economic, Social and Cultural Rights expressed concern about Morocco’s education system, its policies and its turn toward privatization. Morocco has a severely segregated school system, one that instead of being a means of social advancement is a machine for replicating and entrenching inequality. Opponents of school fees fear that if a modest fee is legalized today, schools will begin charging more and more. Yet some public schools that have experimented with asking parents to make modest contributions of around 100 dirhams ($11) annually have seen positive results. It may be that paying a modest fee is a way for families to take greater ownership of their children’s education. It also reasserts the principle that public education has value—as opposed to the prevailing attitude that a free education is a worthless education. At the same time, families already pay in indirect ways even in the public school sector, due to corrupt practices. Teachers in public schools in rural areas demand “gifts” from families; high-school teachers offer private tutoring without which it is hard to pass exams; and university professors assign their own textbooks. I support and believe in free public education. The state should not place additional barriers before those who are already struggling to attend school. But figuring out how to have affordable, good-quality education strikes me as more important than having universally free education that no one is satisfied with and no one wants to use if they can help it. Too often the educational system in Morocco and in other countries in the region feels like a trick played on families and students—a way of keeping young people busy but largely ignorant and of handing out crumbs of hope in exchange for huge amounts of their time, energy and money. To promote privatization without admitting it while denying the abandonment of public schools this entails is cynical and irresponsible. But political grandstanding that insists on the principle of free education without taking responsibility for the quality of that education is also useless. What’s the point of keeping public schools and universities free, if they are little more than holding pens for the poorest Moroccans, who will experience frustration and failure there and drop out at staggering rates? The only way to put a brake on privatization and inequality is to improve public schools. That means having an honest discussion that considers all the alternatives, including reasonable, income-based school fees. Otherwise one is just clinging to the status quo out of a lack of honesty, ideas and political initiative.